Selloane Motsamai obtained her LLB degree from the University of Johannesburg in 2018. 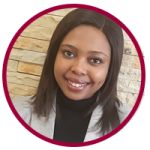 Volunteered as a clerk at Daliwonga Secondary School, volunteered as a legal concepts translator for the interpretation theory module at University of Johannesburg on the and she also volunteered at the Salvation Army Ephraim Zulu Senior citizen’s centre. 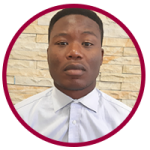 Obakeng obtained an LLB (Bachelors of Law) degree from University of Johannesburg . Previously worked for Minemed as a sales representative. 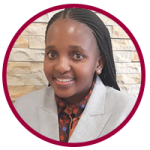 Nomsa Tokoane obtained her National diploma in Marketing Management through the Vaal University of Technology in November 2017. Before joining CGSO I was working as a Sales Executive Trainee at Hyundai Motors for a year. 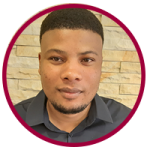 William obtained an HRM National Diploma from Vaal University of Technology in 2017, did a learnership of child and youth development from Nomcebo Community Development Project and volunteered at Sechaba Community Care Center in the year 2018 and recently joined CGSO. When a consumer who referred a complaint to the subscriber and is dissatisfied with the manner in which the subscriber is dealing with it, or the outcome. The consumer may now refer the complaint to the CGSO. This must be done as soon as reasonably possible and within 36 months of the consumer becoming aware of the event resulting in the complaint.